Final cost only $217.49 shipped (+ tax)! Plus, get a total of $60 in Kohl’s Cash from your purchase,so final will be get this KitchenAid Mixer for $157.49! OR if you want to spend a bit more money, you can also score a great deal on the KitchenAid Professional 600 6-qt. Mixerfor just under $200 shipped after all discounts and rebates (regularly $549.99). Final cost only $257.49 shipped (+ tax)! Plus, get a total of $90 in Kohl’s Cash from your purchase, so it’s like get this KitchenAid Mixer for only $167.49. Today, September 17th only, BestBuy.com now you can get this KitchenAid Artisan 5-Quart Tilt-Head Stand Mixer for only $189.99 (regularly $399.99). FREE shipping to home, or FREE in-store pickup. If you love to cook, you need this Kitchen-Aid Stand Mixer in your kitchen! The large glass bowl is big enough to mix up dough for 6 dozen cookies or 3 loaves of bread. And the easy slide control allows you to select one of 10 different speeds for just the right power for any recipe. Through Saturday November 11th, BestBuy.com now you can get select Black Friday Deals now! This KitchenAid Professional 500 Series Stand Mixer in Silver, Onyx Black or Empire Red for just $199.99 shipped (regularly $499.99). This Bowl-Lift stand mixer offers 10 available speeds and includes a 5-quart polished stainless steel bowl, Powerknead spiral dough hook, a flat beater and a stainless steel wire whip. 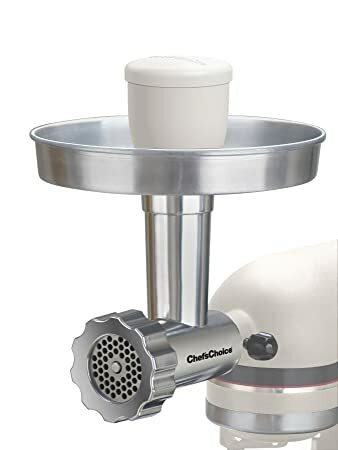 Amazon.com now get this highly rated Chef’s Choice Premium Metal Food Grinder Attachment Designed for KitchenAid Stand Mixers for only $63.74 shipped (regularly $130). The Food Grinder Attachment is built with a durable die cast metal construction, forged stainless steel blades and grinding plates fitted for all KitchenAid stand mixers. This would be a great time to grab one to have on hand for your holiday meal preparation! Walmart.com now they have dropped the price on this Hamilton Beach Power Deluxe 4-Quart Stand Mixer in red or black to just 14.96 (regularly $29.87). This mixer includes a glass bowl, a beater, a whisk and a dough hook. Through December 23rd, Target.com now you can buy this KitchenAid Classic 4.5 Quart Stand Mixer on sale for only $199.99 (regularly $259.99)! Even sweeter, through December 23rd, you can save an EXTRA 20% when you use promo code CLASSIC at checkout. Final cost $159.99 shipped! 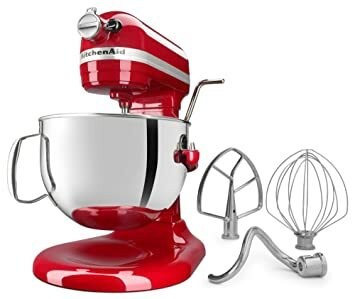 Today, February 12th only, Amazon is offering this KitchenAid Professional 6-Quart Bowl-Lift Stand Mixer for just $229.99 shipped (regularly $412+) – choose from red, black and silver. This mixer comes with a powerknead spiral dough hook, flat beater and stainless steel wire whip. The 6-quart stainless steel bowl offers enough capacity to mix dough for 13 dozen cookies, 8 loaves of bread or 8 pounds of mashed potatoes in a single batch. The bowl is also dishwasher-safe for quick and easy cleanup. Amazon 现在 buy this KitchenAid Spiralizer for just $55.99 shipped (regularly $129.99) – lowest price! This spiralizer peels, cores and slices and fits all KitchenAid stand mixers. Comes with 4 additional attachments to make cutting and slicing a breeze! 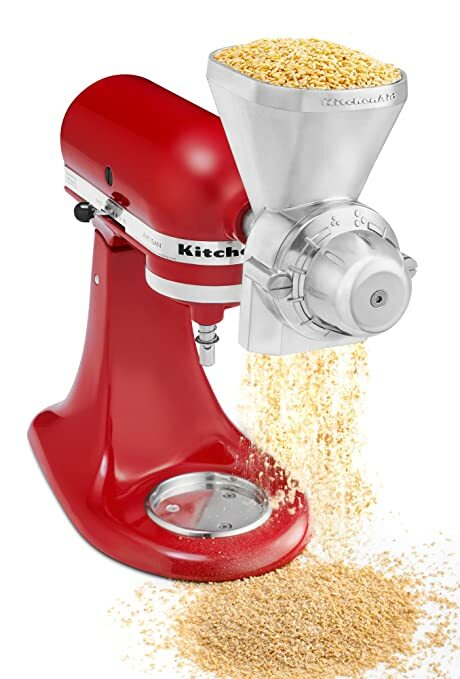 On Amazon.com where you can get this KitchenAid KGM All Metal Grain Mill Attachment for just $69.93 shipped (regularly $149.99)! This attachment fits ALL Household KitchenAid Stand Mixers and can easily grind low-moisture grains such as fresh wheat, corn, oats, rye, rice & buckwheat. It features 12 grind levels that range from a very coarse “cracked” texture to a fine grind.